DSU Alumni Relations Department has always been keen on building relationships with alumni for their life-long development through the DSU network. 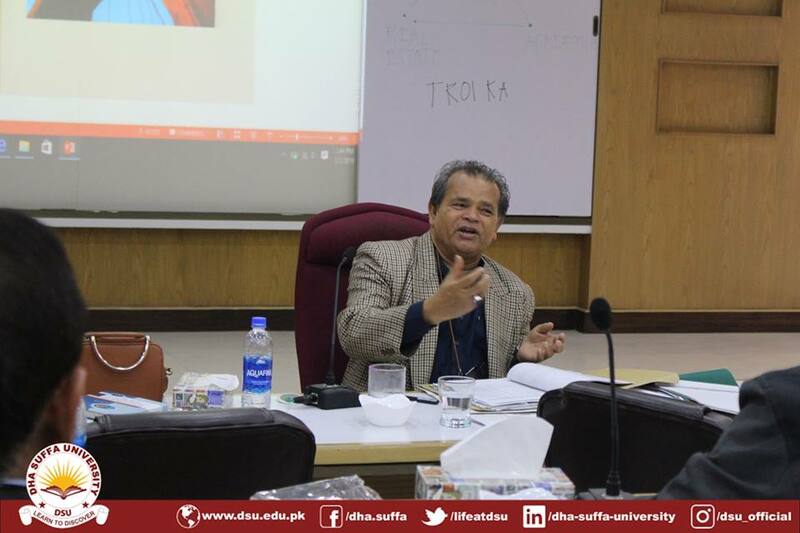 To strengthen this bond, the Alumni Relations Department arranged a two day trip to the Gorakh Hills Station. 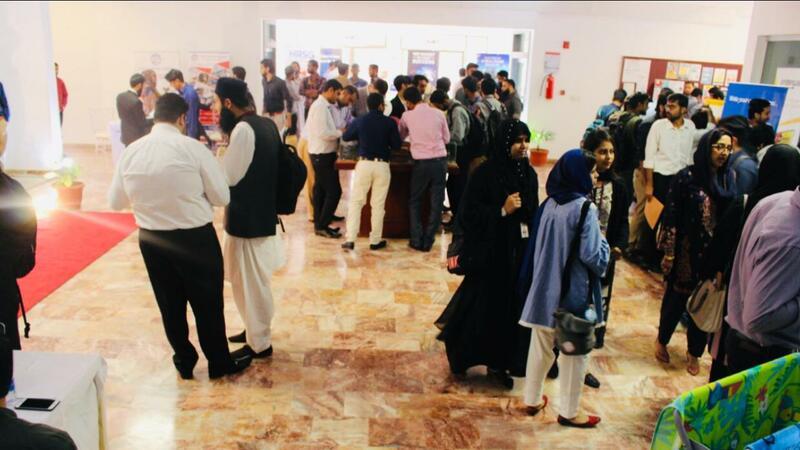 The trip took place on January 12th and 13th, 2019, and proved to be a great success due to the enthusiastic input and feedback received both from the participant students and alumni. 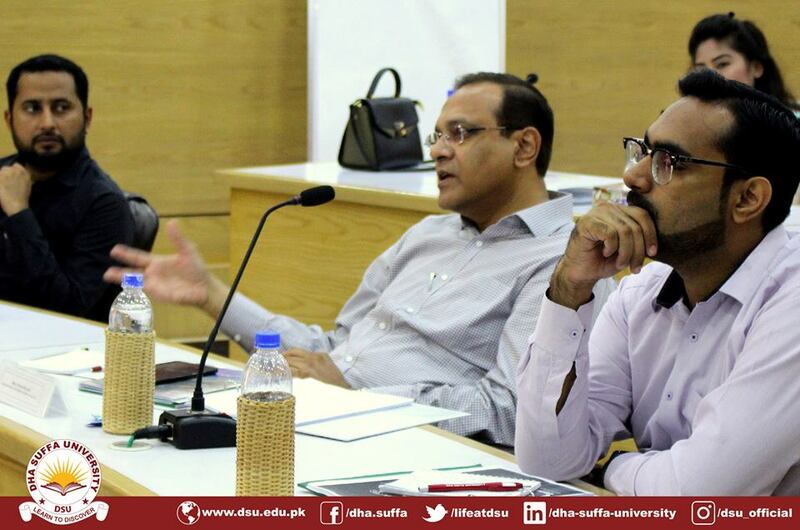 The two-day excursion was not only a work-break for many, but also served the purpose of uniting and strengthening the DSU network. Situated at an elevation in the Kirthar Mountains of Dadu city, Gorakh Hills station, also known as the Murree of Sindh, provides scenic and mesmeric views of dawns and dusks, and captivate its admirers at night through the luminous-bright stars that lit the sky. 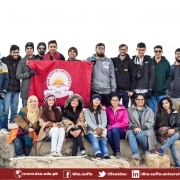 All twenty-one participants of this adventurous trip enjoyed rolling on jeeps to the hilltop, the scenic views, the bonfires, folk musical night, and cold and chilly breeze of the Gorakh Hills. 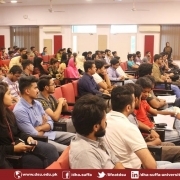 From Wahi Pandi to Gorakh, from Gorakh to Sehwan, and from the tomb of Lal Shahbaz Qalandar to back to Karachi; the participants of this trip rejoiced and appreciated the efforts of DHA Suffa University Alumni Relations and DHA Suffa University for arranging a safe and secure environment and for providing a great opportunity for the alumni to connect, relive, and wallow in nostalgia of their DHA Suffa University life. 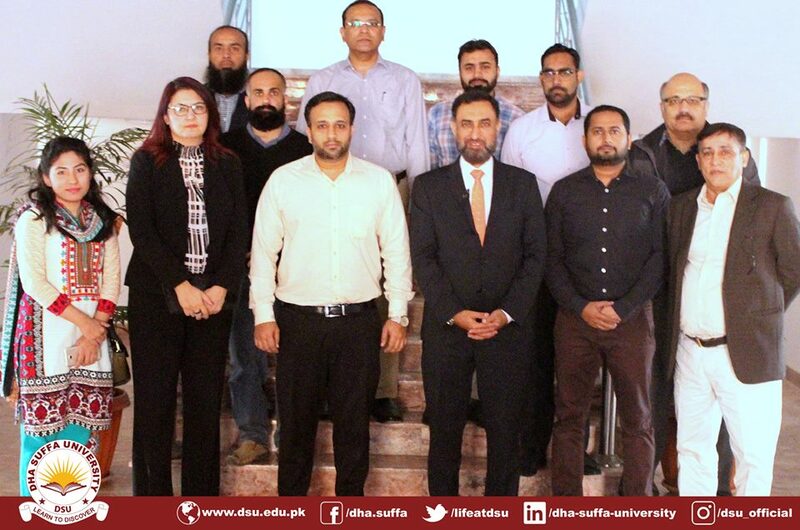 With the belief of grooming the students and providing them with a practical insight, along with academic excellence, DHA Suffa University launched the Corporate Mentorship Program for its final year students of Management Science Department. 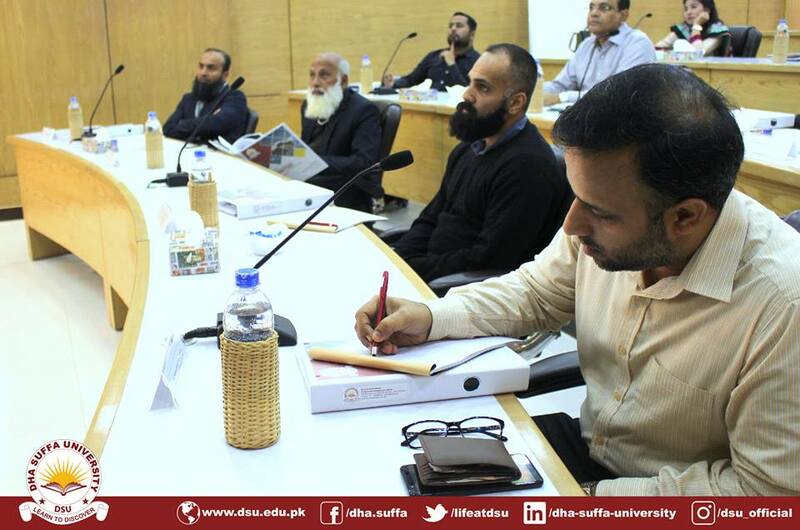 The first Mentee training on “Professional Etiquettes and Personal Grooming” was conducted on Monday, 17th December 2018 in DHA Suffa University. 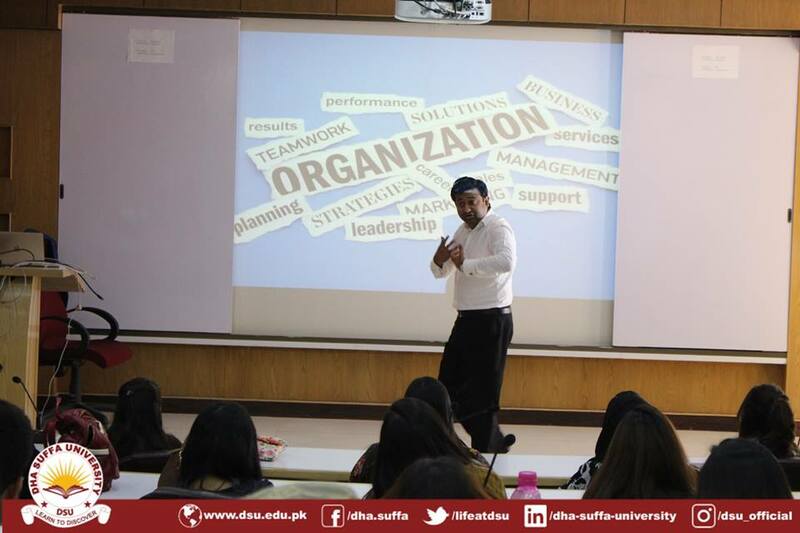 It was conducted by corporate trainer, coach, and mentor: Mr Ali Saeed. 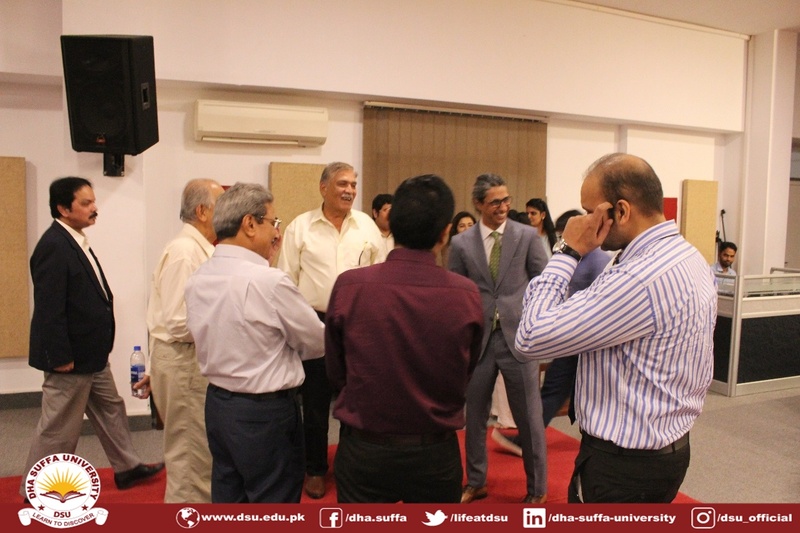 The students thoroughly enjoyed and learned the practical skills of corporate grooming and interacting. 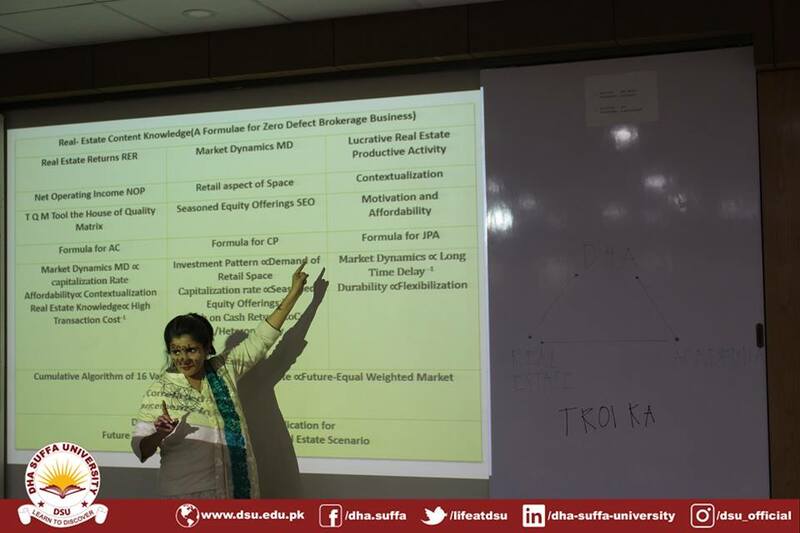 The sessions were very interactive and engaging. 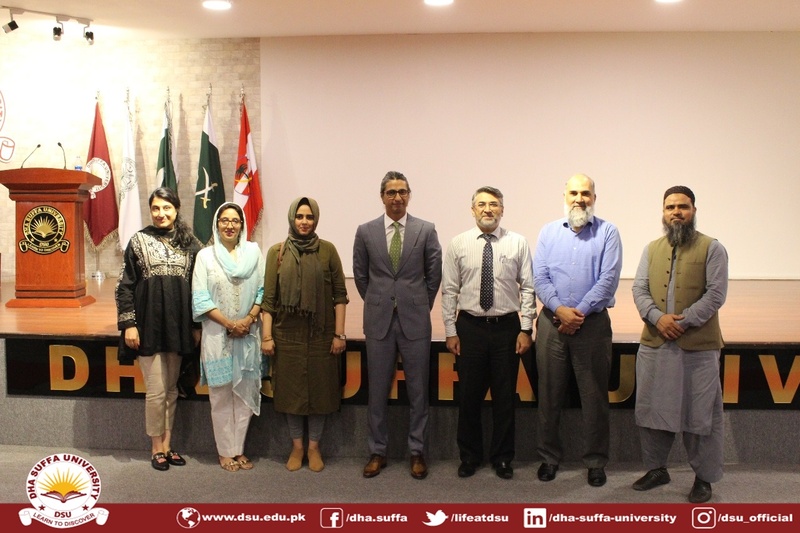 At the end Dr Faryal and Ms Subeika thanked the audience and Mr Ali Saeed and looked forward to many more such sessions and the formal start of the program from Spring 2019. 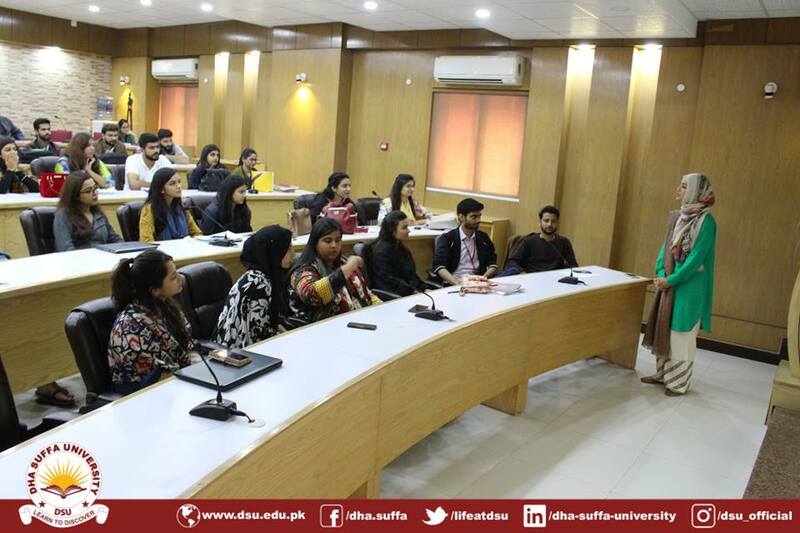 On 11th December 2018 DHA Suffa University’s Center for Entrepreneurship and Innovation Development invited a global speaker and CEO of “Roshni Rides”, Ms Najeeha Farooqi to present a talk on the ”Journey of Roshni Rides and How to Deliver a Winning Pitch”. 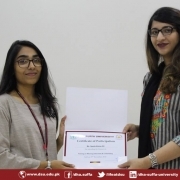 “Roshni Rides”, is the winner of the 2017 Hult Prize and received an award of $1 million. 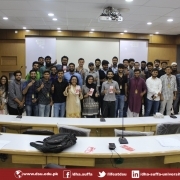 Ms. Najeeha conducted the session in a very interactive way by discussing the ingredients of a winning pitch while taking the audience through the journey of “Roshni Rides”. 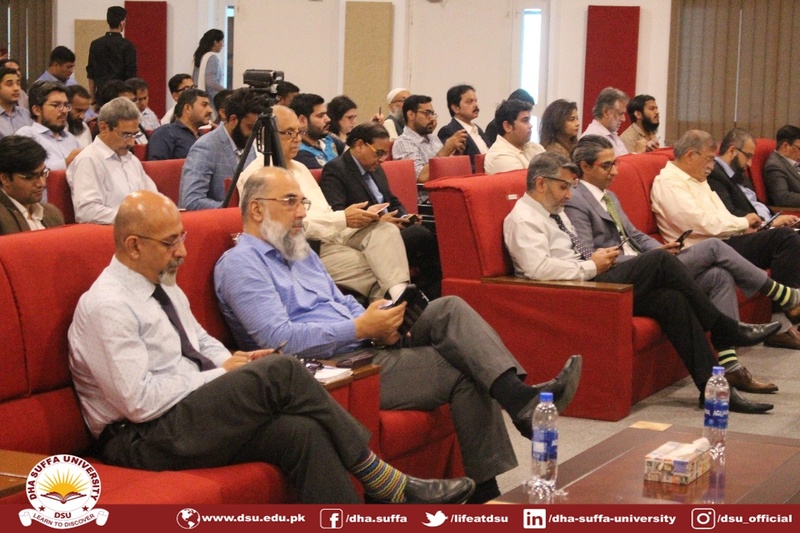 The purpose of this session was to discuss a live case of an entrepreneurial journey in the Pakistani business environment and to understand how Pakistani startups overcome barriers and continue the uphill journey. 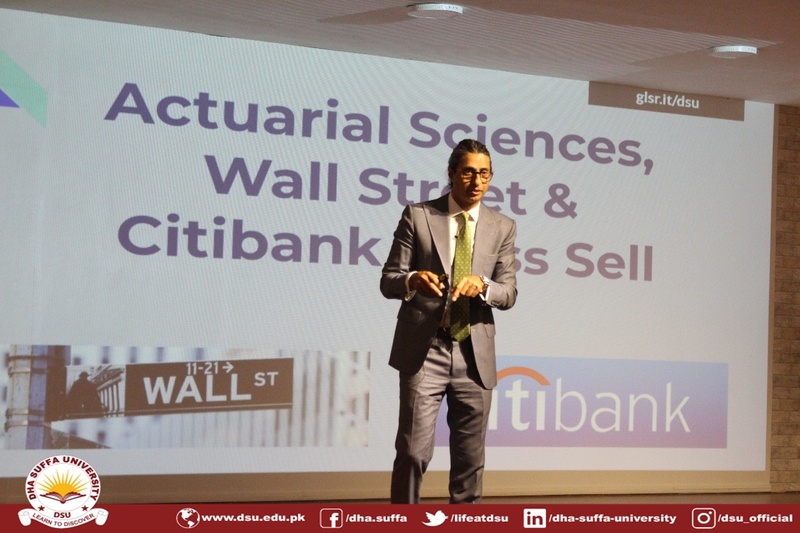 This was a very lively session where the audience was very much involved and raised very intelligent and thought-provoking questions. 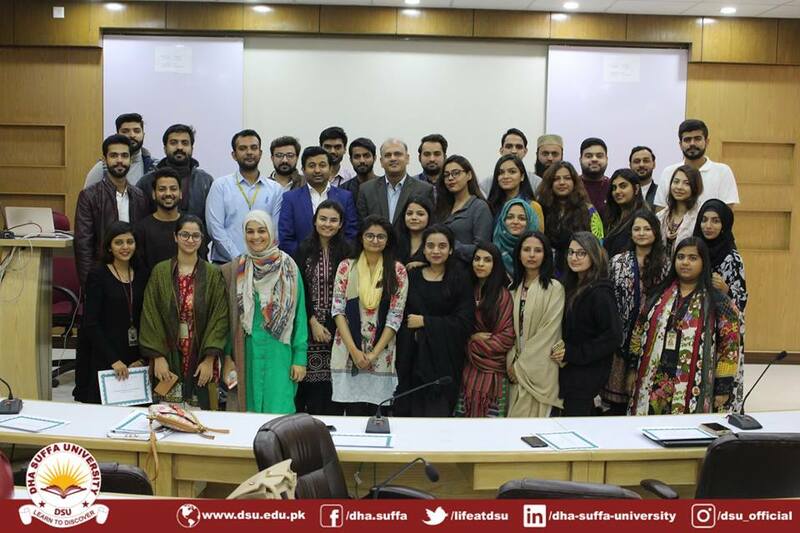 Training on Winning Interviews and CV Building was organized by Ms. Tehseen Azhar for the students of Management Sciences on 29th November’18 featuring Ms. Sidrah Raza who is currently working as a Head of HR at Arpatech Pvt. 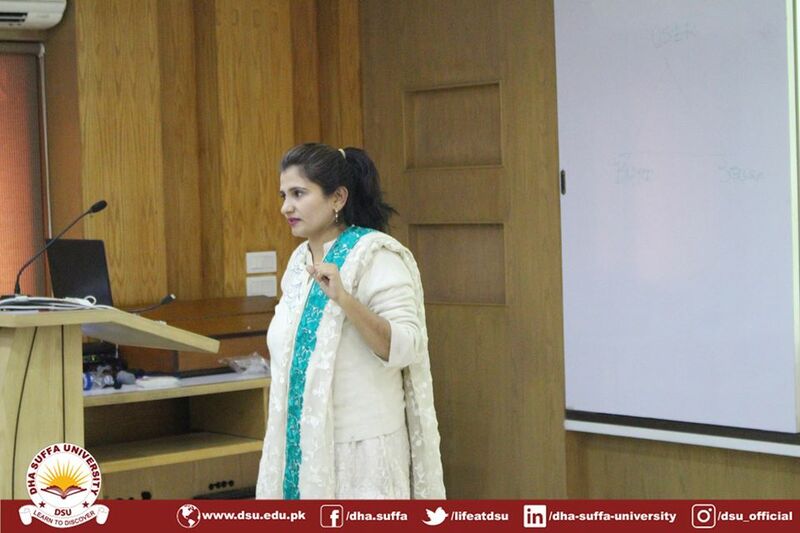 Ltd. Miss Raza is a Certified Human Resource Professional having an experience of industries including IT, Automobile and Retail industry. 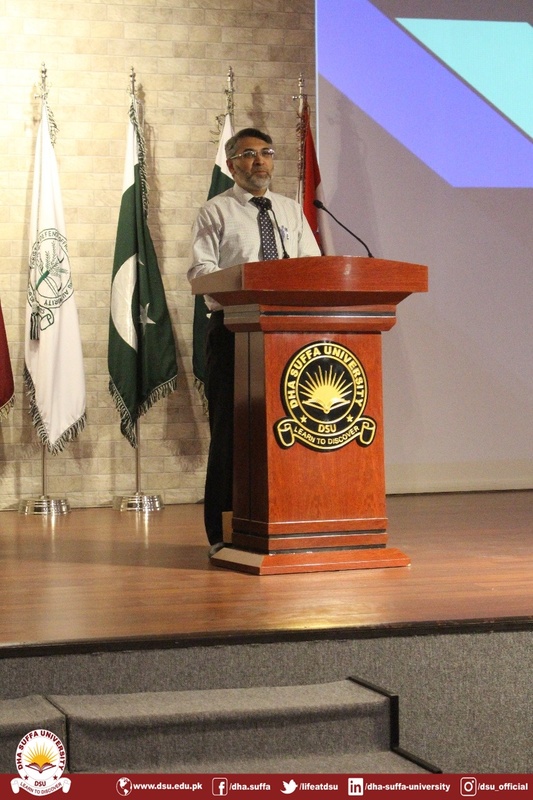 The objective of the training was to provide techniques that how you interact with others, demonstrate your skills in a crowd and solve problems on the spot. 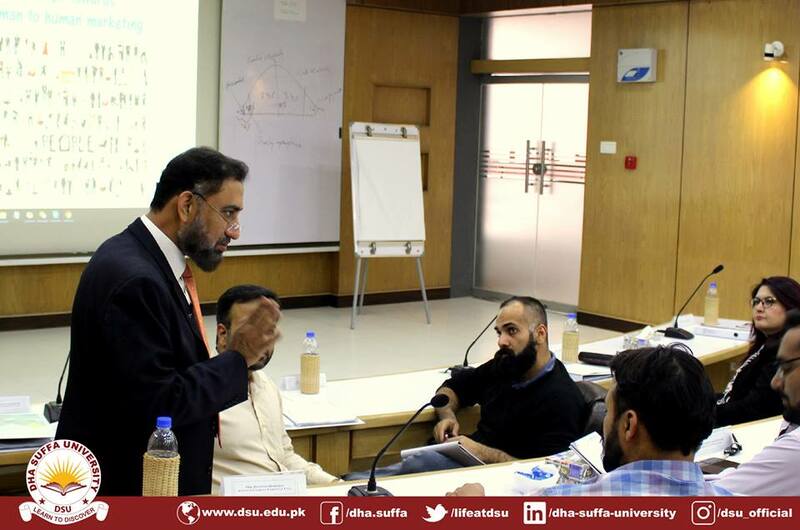 The first half of the training focused on critical success factors for effective interviewing. 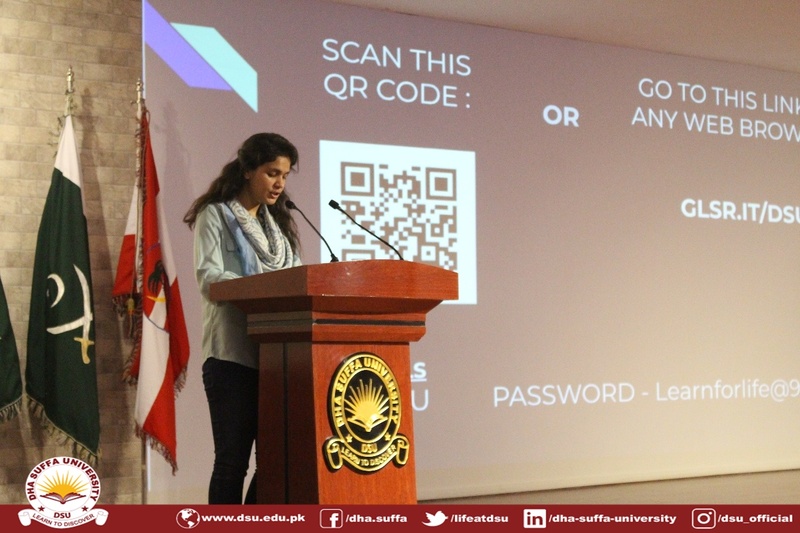 Later, she explained how to produce an effective CV that will give you a better chance of being successful in your search for a job. 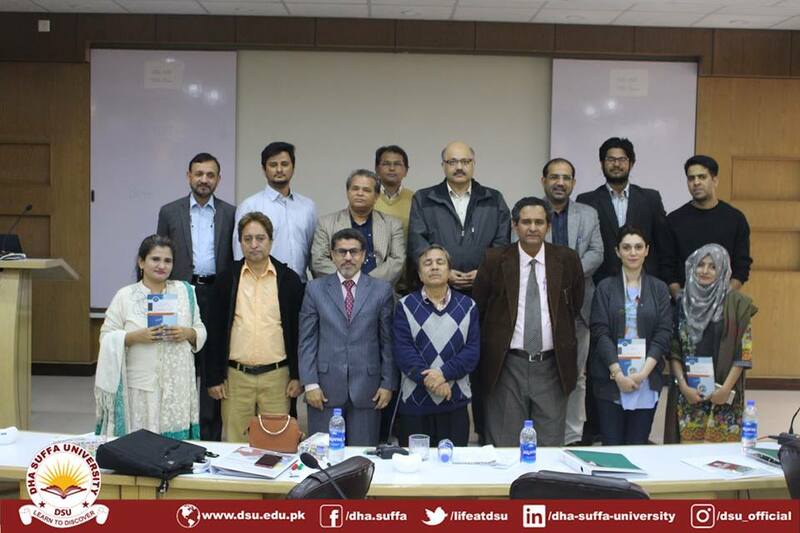 At the end, students were also given certificate for participation. 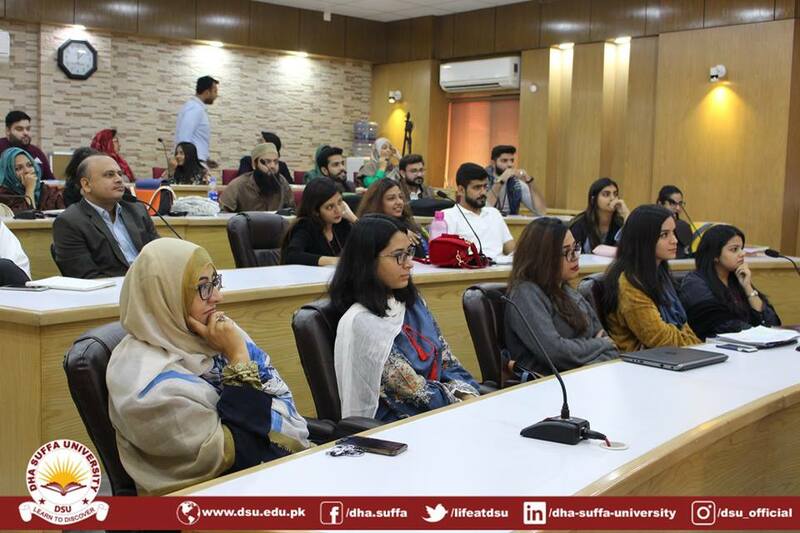 The Leadership Society of DHA Suffa University (Official) organized an ‘Enhancing Professional Capabilities (EPC) Lead to Succeed Seminar’ at the university on October 10, 2018, for the students to unleash their potentials and jolt awake the potential leadership qualities in them. 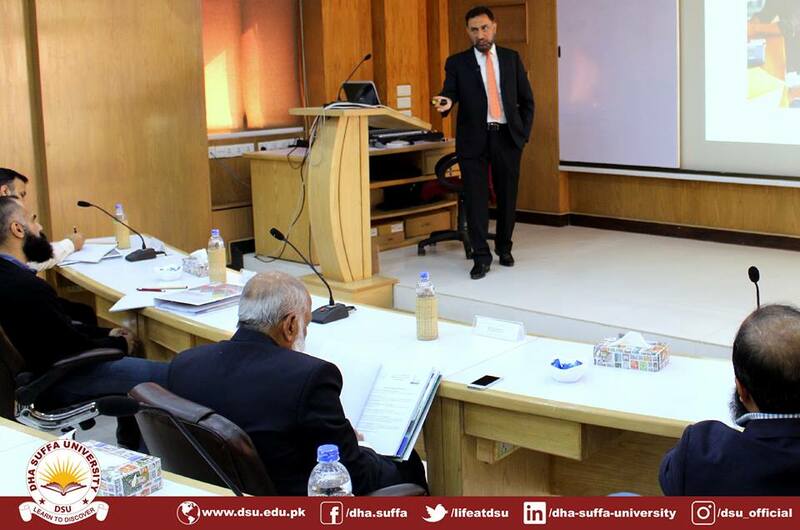 This EPC session was conducted as part of the university’s objective to prepare the youth to become future leaders, innovators, inventors, and visionary professionals. 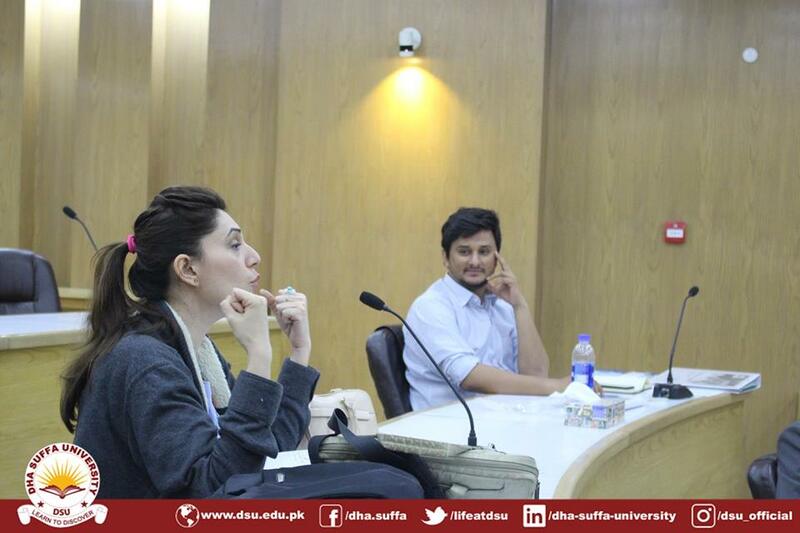 The seminar was led by Mr Shaykh Atif Ahmed and Ms Dania Hasan. 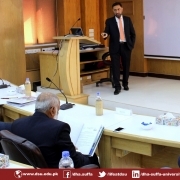 Mr Shaykh Atif Ahmed is a professional trainer and CEO of Al-Midrar Institute. 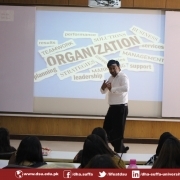 He has led several professional trainings and conducted multiple workshops to train and influence the youth, to help uplift many individuals, and to pull them out of depression to reignite passion in their lives. 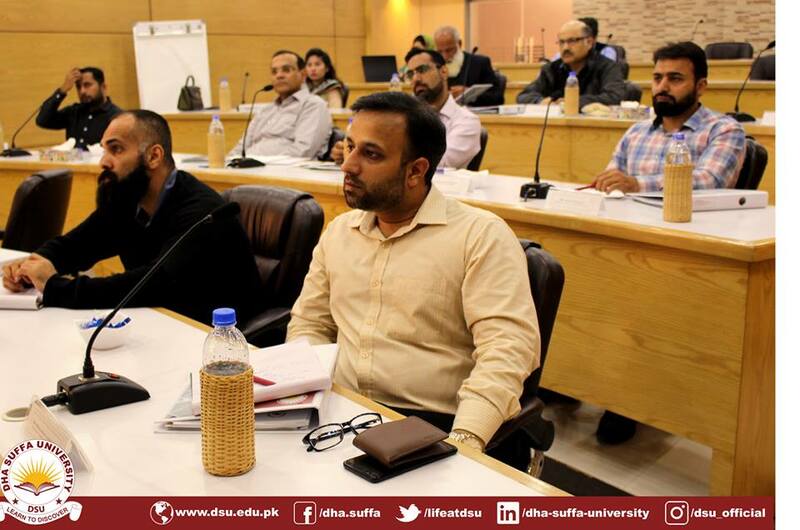 Earning his professional degrees from the University of Houston, Texas, Mr Atif also holds an 8 year degree of Islamic Shariah Academics. 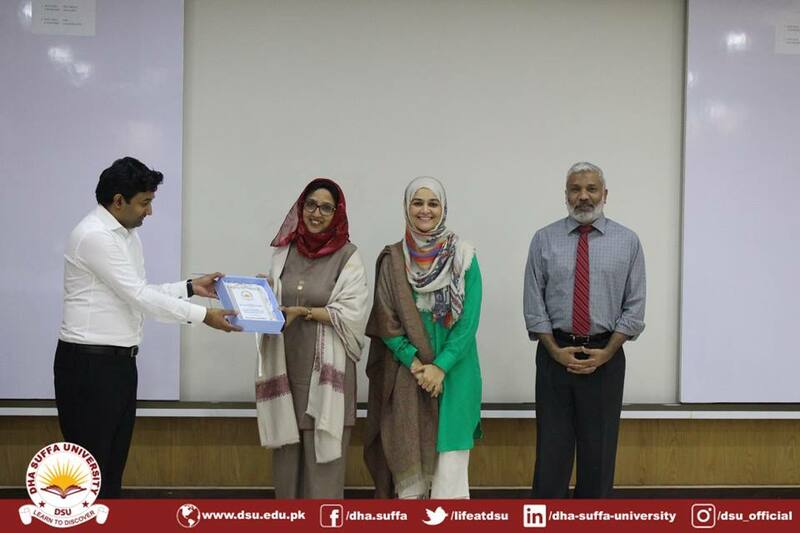 Ms Dania Hasan is the CEO of ‘Fun to Learn’, the youngest high achiever of the Pakistan-US Alumni Network #Under30Series, and has received Emerging Young Leaders Award and Summer Scholarship at John Hopkins, in addition to winning All-Pakistan Bilingual Declamation Contest. 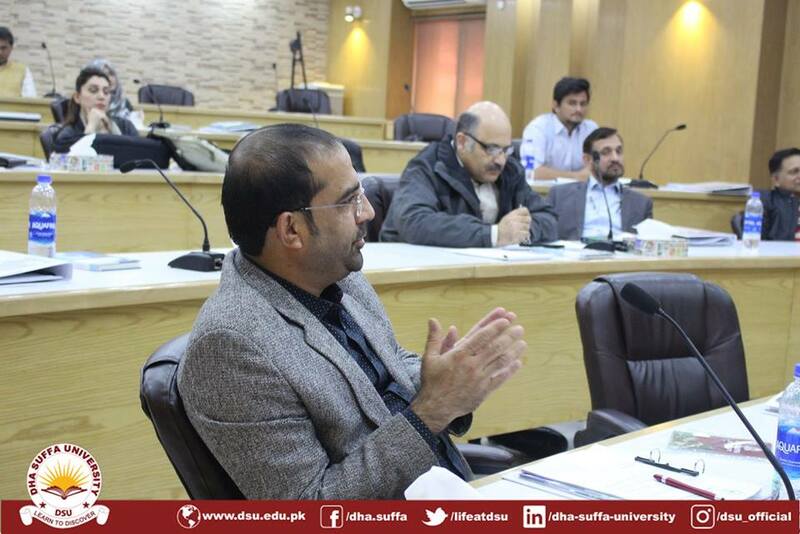 The session was attended and appreciated by students and faculty. 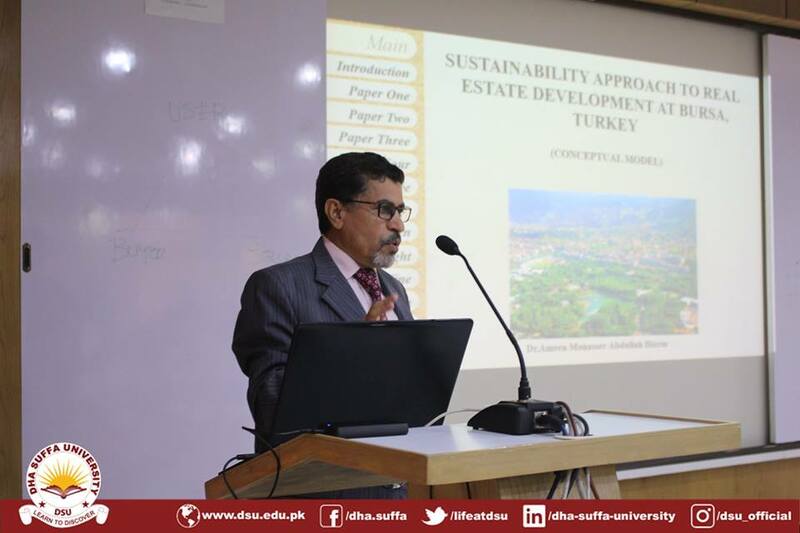 The seminar closed with the Vice Chancellor’s expression of gratitude as he presented the mementos to the speakers.